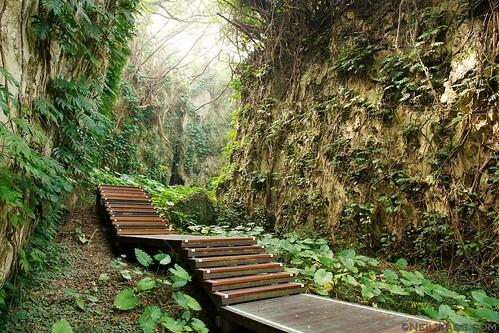 Little Liuqiu is a fantastic weekend get away from almost anywhere in Taiwan. One could easily take the HSR from Taipei to Kaohsiung, rent a scooter, and be on the island by noon on a Saturday. Once there, one could spend the weekend exploring the several natural sites, or while the day away on it’s three small beaches. 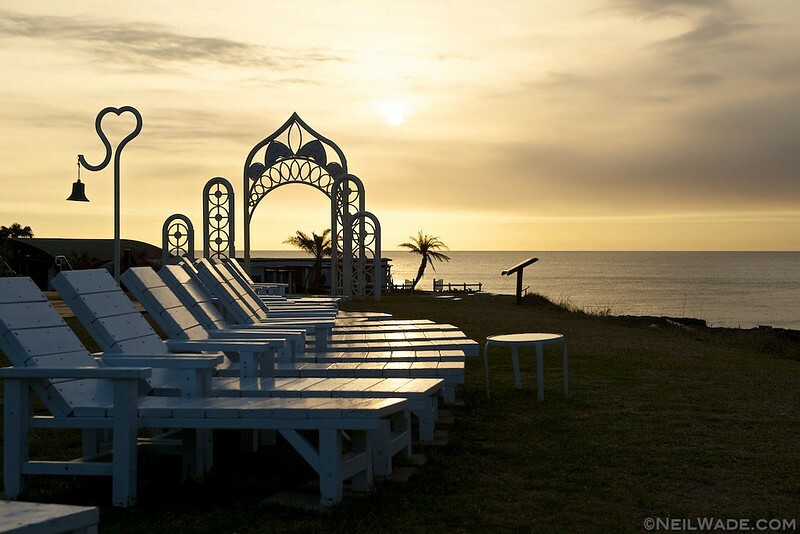 Head to the several viewpoints on the west coast for sunset. Coastal erosion on the coast of Little Liuqiu, Taiwan. 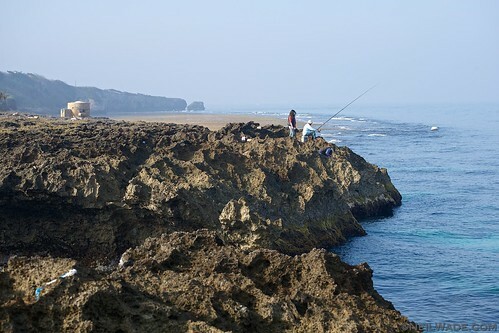 Fishing is a way of life for most of the inhabitants of Xiaoliuqiu, Taiwan. 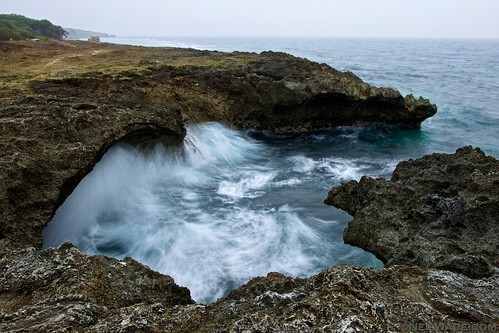 There are abundant coral reefs just off the coast of Xiaoliuqiu. The roads on Little Liuqiu Island are all relatively quiet. The island has even started to rent ecologically friendly electric scooters. Flower vase rock is a natural oddity much like the geology at Yeliu Geopark. The symbol of Xiaoliuqiu, Flower Vase Rock sits neat the main port of Baishawei, just below the Tourist Information Center. 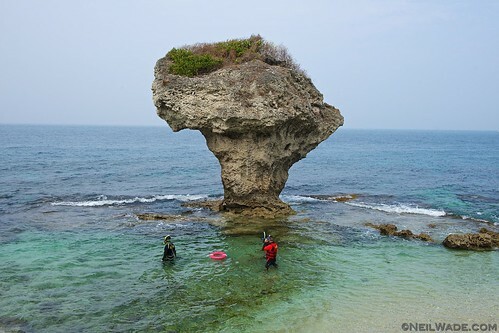 Flower Vase Rock on Little Liuqiu Island, Taiwan. 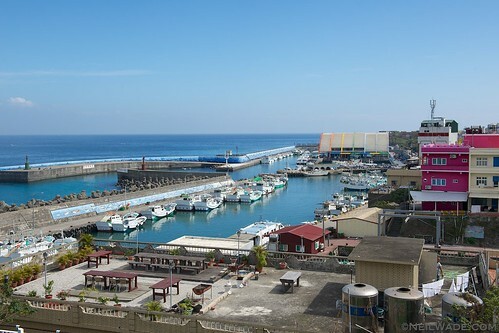 Baishawei Tourist Harbor, on Little Liuqiu Island, Taiwan, as seen from the Tourist Information Office. 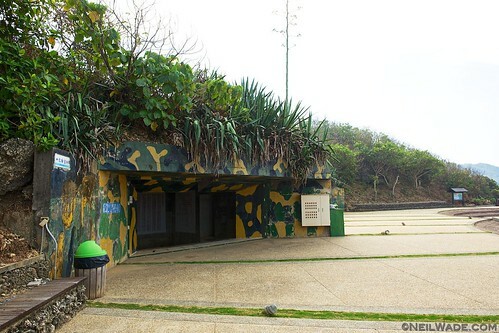 If visiting the island’s natural attractions in a counter-clockwise direction as advised, Beauty Cave will be the first of the three sites you have to pay for. There is a $120 ticket that gives entry to all three sites sold here. I actually thought that this was the least impressive of the three, but it’s still worth a visit. 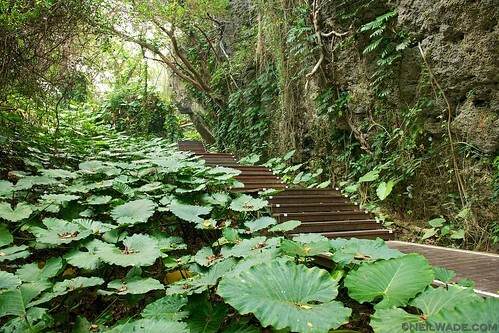 Stretch your legs on the narrow paths as they wind through narrow passages and old coral caves. I don’t actually understand why this is called an ecological corridor, because all I saw was an old military bunker. But history and military aficionados might like exploring the old gun bunkers. The Shanfu Ecological Corridor seemed a bit more like a military park to me. Probably my favorite site on the whole island, the Wild Boar Trench is the second of the pay sites, and probably the most interesting. 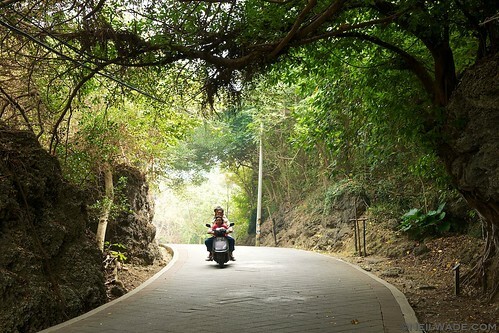 It is a maze of well kept trails winding though a lush jungle of old banyan trees and coral caves. 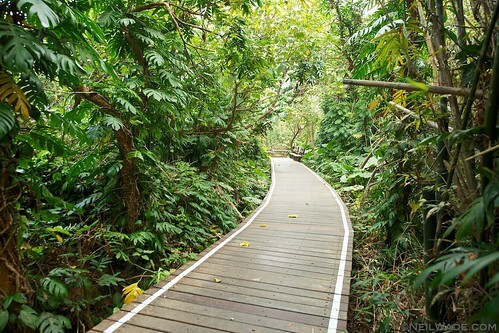 Besides the nice walkways, there are a few trails that go off into the more narrow passages. The tourist pamphlet calls these “Threads of Sky” due to the fact that you can only see a small slice of the sky while inside. 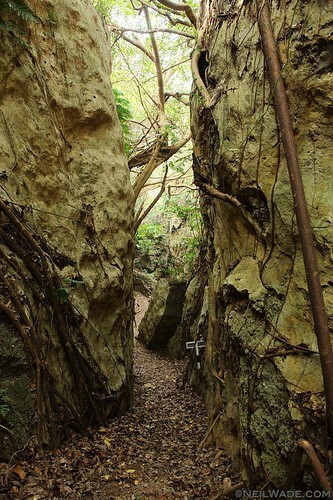 One of the beautiful trails at the Wild Boar Trench on Little Liuqiu Island, Taiwan. The Threads of Sky at the Wild Boar Trench on Little Liuqiu Island are quite interesting. This is probably the beach you want to head to if you want to do some lounging. It’s small, quiet, and beautiful. If you plan on swimming, take some protection for your feet and swimming goggles… There is some nice coral just off shore that is both beautiful, and sharp! 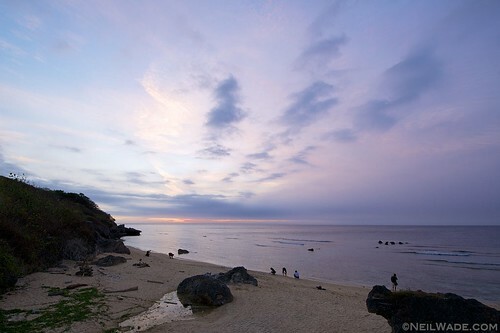 Sunset at Geban Bay on Little Liuqiu, Taiwan. This beach is probably the nicest of the 3 or 4 small ones on the island. Geban Bay on Little Liuqiu, Taiwan. This beach is probably the nicest of the 3 or 4 small ones on the island. The story behind the Black Ghost Cave is that some stranded Portuguese sailors hid out in this cave as they stole from the British who now controlled the island. When the British discovered they were hiding there, they burned them alive inside the cave. You can now squeeze your way through the extremely narrow passage. Be sure to take a flashlight and expect to get a little dirty. 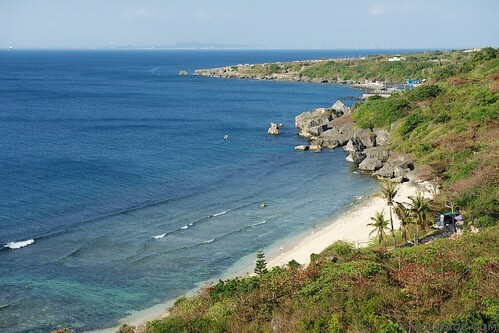 One big attraction of Little Liuqiu that I must talk about now is the abundance of green sea turtles in its waters. The corals that surround the island are in great shape and have rich aquatic life, especially the very large green sea turtles. I saw the beautiful creatures feed at several places along the shoreline, but none better that the coastal observation deck located on the trail behind the Black Ghost Cave. There are several companies that offer snorkeling on the island, but you can only expect to be taken a very short distance off the beach and given little leeway to explore on your own (So it’s best to take you own equipment and do it on your own!). 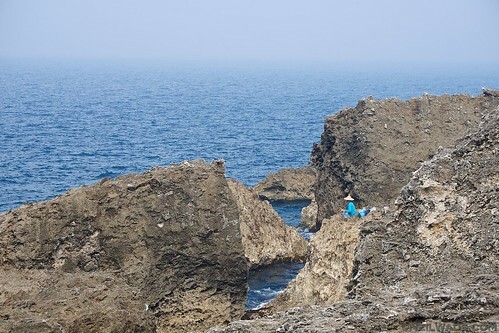 A fisherman fishes the abundant waters off the coast of Little Liuqiu, Taiwan. 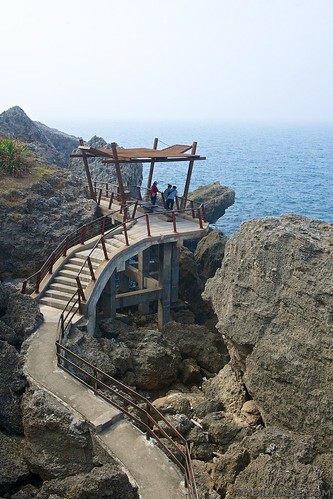 An observation deck on the coastal trail at Black Ghost Cave, on Little Liuqiu Island, Taiwan. 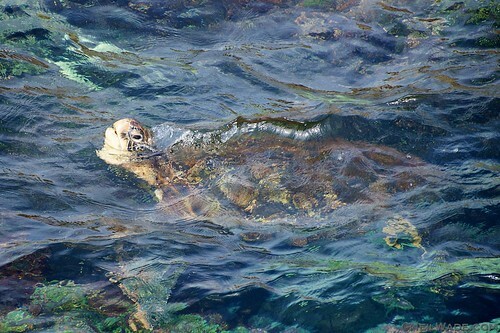 A green seat turtle swims in the water off the coast of Taiwan. 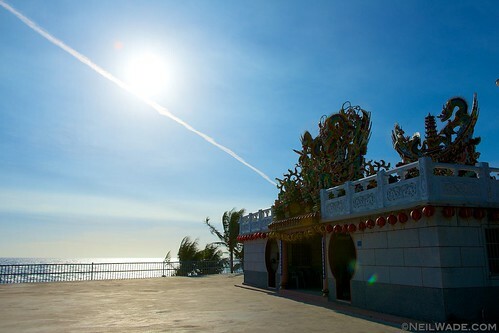 The oldest temple on the island is the Biyun Temple, located in the middle of the island. I actually only mention it because I though the small pond and bamboo grove just below it was quite beautiful. 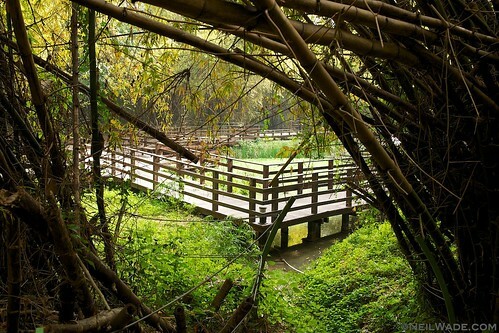 A small pond in a bamboo forest on Little Liuqiu Island, Taiwan. If I wanted to visit Xiaoliuqiu in a weekend, I would rent a scooter from near the train station in Kaohsiung and drive to Donggang, an hour south of Kaohsiung. There, the private ferry makes trips to the island every 1.5 hours or so. It’s $420 round trip, plus $100 for the scooter. Or if you’re driving a car, park it at the ferry and rent a scooter on the island, at the port. There are loads of B&Bs on the island, and two nice campgrounds just next to each other. 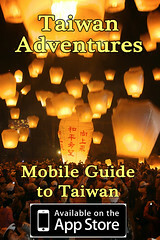 Learn more about Little Liuqiu on Taiwan Adventures Online Guide or download the iPhone App. You made me want to go ! Beautiful island! I lived in Kaohsiung in the early 80’s for a year and had the opportunity to visit 小琉球 with some friends. Thanks so much for the “return visit”. Great pics. Also worth noting there’s a bus to Donggang that leaves from one of the stations to the east of Kaohsiung Train Station- I think it’s the Kaohsiung Bus Company. 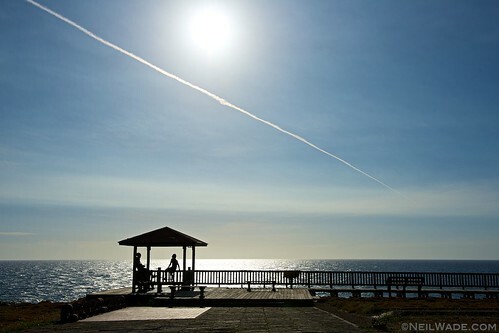 Those up for a few kilometers (maybe 7 or 8) of walking can take a ferry to Dahu and do a circuit of the southern half of the island- everything in your post from wild oar trench down- and make it back to Donggang in the evening. There’s a great seafood restaurant and oyster BBQ hut near Donggang’s ferry terminal to round out the day. Great! Thanks for the added info! 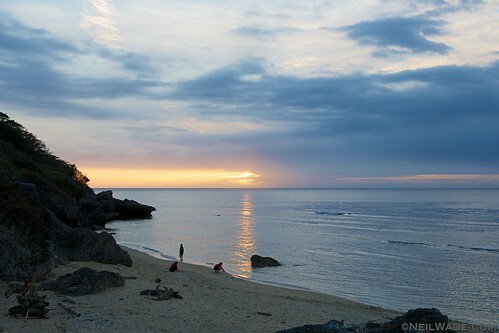 will going to this beautiful place at the end of this month.